**NEW: Please visit the RVCOG Open Data Site to access interactive web applications and download GIS data. Maps are a crucial tool used by transportation planners to propose plans and to illustrate study areas for various projects. Geographical analysis is a major process in decision making, recommendations, and proposals. Please visit the RVCOG Open Data Site to access interactive web applications and download GIS data. 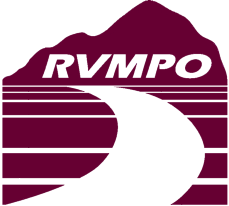 The Rogue Valley Transportation District (RVTD), which provides public transit service within the RVMPO boundary, publishes and updates bus route maps on its website at www.rvtd.org. To link directly to the "Bus Route Maps" page on RVTD's website, please click here. The Oregon Department of Transportation's GIS Unit creates and maintains a number of other map products, e.g., Oregon state highways, ODOT regions, ODOT maintenance districts, railroads, freight systems, safety corridors, seismic lifeline routes, scenic byways, etc. To view these map products, please click here.